Racism continues to be a problem in the NHS, with Brexit fuelling the problem, health delegates heard today. 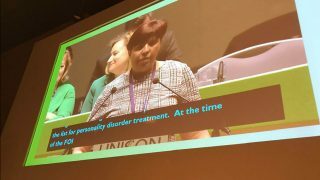 One Black member told the UNISON health conference in Brighton that racism was “the disease in the system”. And another delegate, from Spain, spoke of the thousands of NHS workers who were already fleeing the UK because they no longer feel welcome. Shortly after a debate which celebrated the NHS’s 70th anniversary – and especially the diversity of its workforce – delegates were brought back to Earth with a bump by reminders of how that workforce is treated. The report also says that staff from these backgrounds had less faith in their trust offering equal career progression than white colleagues. Joan Pons Laplana, a Spanish nurse from East Coast health said: “This government is sending out a racist message to the rest of the world. And people don’t feel welcome coming here. “Many of my European colleagues chose England to have their careers. Now 10,000 of them have already gone back to Europe. That makes me very sad, because it affects the care we give people. Eddyna Danso, of Guys & St Thomas’s branch in London, joined the NHS in 1973, a time when racism was openly expressed, even on television. “I thought we would have moved a long way from then,” she said. “But BME staff are still experiencing discrimination in the workplace. Meanwhile, the conference expressed its concern about the government’s plans to require hospital departments in England to check the paperwork of every patient before deciding whether they need to pay up front. Delegates agreed that the union must continue to raise awareness about the discrimination present within the NHS, and the actions health branches can take to campaign against it. Guidance to branches includes the Challenging prejudice leaflet, and Challenging racism in the workplace toolkit and resources – for use in negotiation and bargaining around race equality in the workplace. highlight the damaging effect that discrimination at work has on Black staff. Discrimination at work can be a serious issue: on the grounds of race, gender, gender identity, sexual orientation, disability, age or religion and belief. It may also involve bullying and harassment. 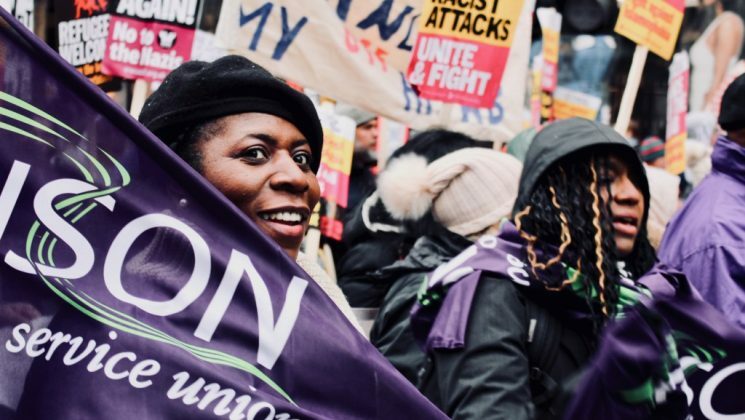 UNISON campaigns and supports members to make sure everyone is treated fairly and equally at work.